There are many places in India where you can travel to. While some of them are more famous and more commercialised, the rest silently are awaiting their chance to be recognised. It does not imply that the lesser-known places have anything less to offer; instead it just makes you realise that they haven't been tampered with by large crowds of tourists yet, making these remote places great to explore and enjoy! There are many places within our country that still remains to be explored by the tourists. You may know of them or might have heard of them, yet, are you reluctant to actually make the journey? Here is what you need to know about the pristine beauty of the places that aren't crowded by tourists. 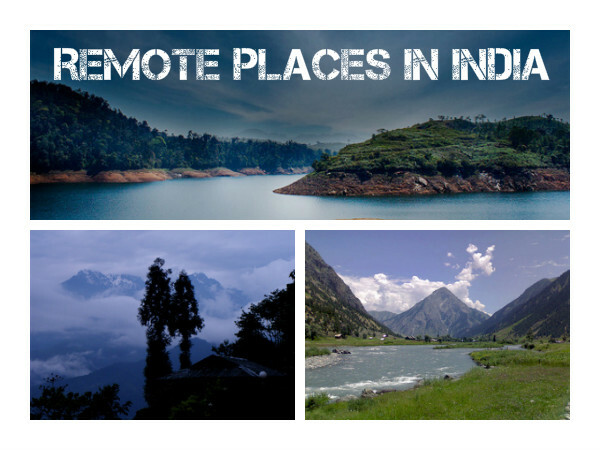 The below guide of remote places will ensure you pack your bags right away! Click Here to avail 50% off on Hotels, Bus and Flight Bookings. The small town of Borong in Sikkim is picturesque vista for every traveller. Facing the snow-capped mountains, you can reach here by local vehicles from Ravangla or by a trek via Maenam. Other than its beautiful landscape and magnificent view, the village is also known to host the Borong Tsachu festival that celebrates their rich harvest. For the trekkers, the trek trail originates from Namchi to Tendong to Ravangla Maenam and finally Borong and is one of the most interesting trails scaling all the hill tops along the route. Dambuk is a quaint village in the Dibang Valley in Arunachal Pradesh and is surrounded by tributaries of the Brahmaputra. This serene and beautiful village is known for its orange cultivation and a Orange Festival is held here annualy on January 17th and 18th respectively. Travellers coming here during this period is sure to have a rollicking time, as the town celebrates with lots of local music, arts and adventure in an orange orchard. You can also partake in the festivities and relax in this remote town, blissfully cut away from the rest of civilisation. Gurez or Gurais as it is known in the local Shina language, is a valley located in the high Himalayas, about 123 km from Srinagar in northern Jammu and Kashmir. At an elevation of 2400 mt above sea level, this valley is surrounded by snow-capped mountains and boasts of diverse fauna and wildlife that include the Himalayan brown bear and the snow leopard. The Habba Khatoon Mountain peak is the main attraction of the valley and travellers coming here do make a point to try scaling this peak. View of the Habba Khatoon Mountain. Anjadip Island or Anjediva Island is an island in the Arabian Sea off the coast of Canacona in the South Goa district. It was previously a Portuguese territory, and was used by the Christians and Hindus of the mainland as a refuge during the invasion of the coastal kingdoms of Bednoreand Soonda by Tipu Sultan. The ruins of Shri Aryadurga temple that was destroyed by the Portuguese is still to be found here. It also has a fort that is said to have been built by the Portuguese during their reign. Though much of it lies in ruins, travellers coming here can explore around and also relax in this secluded island. Valparai, located in the Coimbatore district of Tamil Nadu, is one hill station that is not meant for the light hearted. Placed at an elevation of 1067 mt above sea level, it is one of the most beautiful hill stations in Tamil Nadu and is part of the Anamalai Mountain Range. Most of the mountainous expanses that come under this hill station are still off limits, even after almost 170 years of human settlement in the region. It is a perfect place to witness the blend of tea and coffee plantations amongst the dense forests, wild waterfalls and whispering streams.